The Barnstable Comprehensive Plan outlines community-supported strategies for economic and housing development, natural resource protection, heritage preservation and the provision of public facilities and infrastructure within the Town. The primary tool for implementing the land use recommendations found in the Local Comprehensive Plan is the Town’s Zoning Code. The Zoning Code regulates land use, density, parking, open space, and signage for all new development and redevelopment in the Town. The Town is divided into various residential, commercial, and industrial zoning districts. Zoning overlay districts are in place to protect groundwater, preserve aquaculture resources, and promote renewable energy development. On Cape Cod, development that reaches certain size thresholds requires review by Cape Cod Commission’s regulatory division. 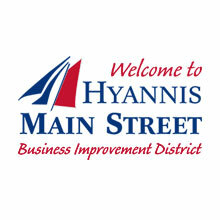 To encourage the revitalization of downtown Hyannis and to direct growth to areas where adequate public infrastructure is available, the Town worked with the Cape Cod Commission to establish the Downtown Hyannis Growth Incentive Zone. The Growth Incentive Zone offers a streamlined regulatory process that requires only local review and provides additional, flexible tools for permitting development. Development or redevelopment occurring within a historic district, the Downtown Hyannis Growth Incentive Zone, or certain zoning districts requires compliance with design guidelines aimed at protecting and enhancing the unique historic and scenic areas within the Town of Barnstable.